My dear friend Annette turned 40! She deserved a special cake and I really loved how this turned out! 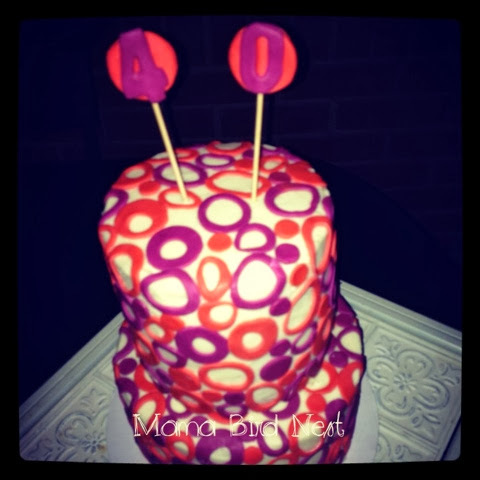 This entry was posted in Uncategorized and tagged 40th birthday, Birthday, Birthday Cakes, cakes, Mama Bird's Nest.